Is it over yet? I’m talking about the media and Washington love-fest over former Arizona Senator John McCain after his recent death from brain cancer. Certainly I will express my sympathies to the former senator’s family and friends as I’m sure that his death causes great sadness among them. And of their feelings I am truly respectful. But I cannot say that the passing of just another career politician brings me any personal grief. 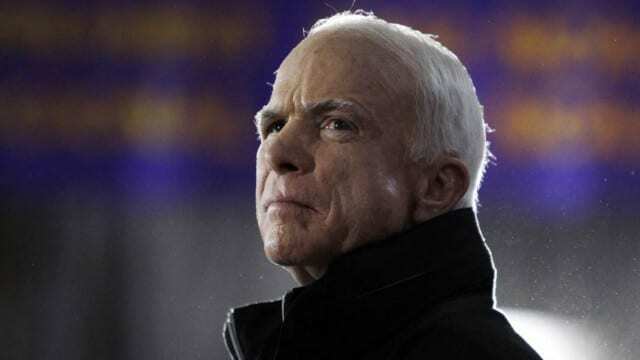 After watching the hours of coverage on all the networks I’ve come to the conclusion that our career politicians – the class from which John McCain came – do a much better job of dying than they do of living and carrying out their constituents wishes. And I truly believe that is where the problem lies, with career politicians who spend decades in Washington, D.C., and also in state houses around the country, completely losing all touch with the reality the rest of us experience scraping by day to day in America. When a career politician passes away after thirty or forty years in office their colleagues seem to believe that we the voters are really interested in all the accolades they want to heap upon the recently deceased. Senators and Congressmen, and maybe even a former or sitting president will stand before an assemblage of their colleagues and the news media and wax poetically about their colleague. Telling us all how he was “a lion”, a “devoted public servant”. One who “fought the good fight” even if they disagreed with him on policy matters. And often sometime down the road they’ll name a bridge or a building after him in order to feel good. And to hopefully secure the same honor for themselves once they also pass onto the great debate chamber in the sky. Or elsewhere, depending on how corrupt they were while holding public office. To career politicians like John McCain we the great unwashed just simply aren’t smart enough to govern ourselves. They don’t believe that we have the capacity to understand all the intricacies of governing. They think that we need them, the professional career politicians to take care of us. I think John McCain certainly believed that. You see they all are cut from the same cloth in a sense. They get to Washington and quickly get caught up in the glitz and the glamour. It’s a huge ego-stroke. They have aides who really do all the work for them. They are merely handed a sheet of paper with ‘their’ positon on the issues for them to read before a bank of microphones and TV cameras. It reminds me of a scene from the comedy movie ‘Blazing Saddles’ when the actor Mel Brooks played the ‘governor’. In one scene he stood in his office surrounded by other men dressed in suits, all who had their arms folded across their chests, and they were standing in a tight little group repeating “Harrumph” over and over. Not a word of substance was uttered, but I’m sure they felt good about themselves as though they were accomplishing great deeds on behalf of their constituents. Very much like our career politicians nowadays. John McCain was no better nor worse than those he served alongside in the U.S. Senate. And during his military service he was better than some and worse than others. Indeed he was a man with faults and contradictions like anyone of us. And the anguish his family felt at his passing was obvious, and we should all respect and be mindful of that. But sadly the only real memories I will have of him – if I ever think of him at all – will be as I saw him over the last couple of years. An angry, petulant, and petty man. Just another career politician. The same image that is held by millions and millions and millions of others. In fact, I’d venture to bet that far more people will remember him that way, now that the marathon memorials have ended, than will ever remember him fondly. And that truly is sad.